In the lower level of the Oxford Public Library the crafters are getting creative with rubbish. That’s right, in this free workshop, students are utilizing what people would normally throw away and instead are creating beautifully unique art. The participants of the class are learning the art of Kusudama, which is an ancient form of Japanese art that involves paper folding. 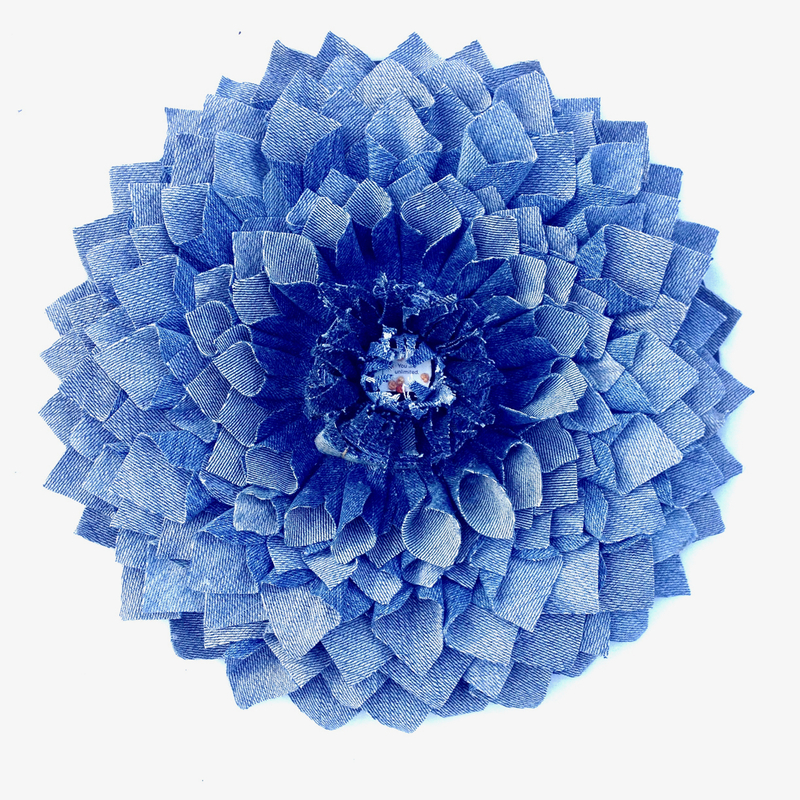 The students fold a variety of paper mediums to sculpt and produce stunning paper flowers. “This is an upcycling workshop, we take discarded books and paper and create flowers,” explains Amber Ladley, operator and designer. It is amazing what is thrown away every day, when it can be turned into something either useful or fascinating. Amber shows a variety of uses that discarded paper can have, and from various sources such as mail, books, maps and more. Many items can be created with this form of art, such as wreaths, picture frames, centerpieces and masks. The participants in class all found the sculpting easy to learn and fun to do. “I do a ton of crafts! I can’t wait to go home and make a forever bouquet,” says Priscilla Curving with her daughter Crystal Curving. Amber stands to direct the class and explains each step thoroughly. She visits each person to ensure that every participant feels comfortable and happy with their design. Excited chit-chat fills the room with all the different ways to upcycle instead of disposing items in the trash. “I want to make a wreath now when I get home,” says Denise Hoyt who folds her flower delicately and with precision. The crafters agree it is better to use what you have and avoid throwing things unnecessarily away. The students are focused and engaged as they continue to fold and crease old papers. Each participant is making their own design, some are making small petite flowers, and some larger. Some took pictures from discarded books and others use old maps and comic books. Each design is unique and special. “It is really special to be here, making these flowers with all of you,” says Amber. Amber travels all over for “Happily Upcycled,” a private business where she shows others how to create items such as; junk-mail masquerade masks and wallpaper beads. Amber’s art is both exceptional and essential in a world where others waste rather than create. The excitement over discovering a new avenue of creativity has all the students eager. Many line up to cut more paper and look into further designs. Crystal Curving uses old musical notes paper to make her flower while others use fairy tale novels and coloring books. All these mediums were meant for the garbage can or recycling bin but now they are a part of this new adventure and crafty outlet. This class filled up quickly with a waiting list of more than 10 people. The Library hosts a variety of events and classes and this flower folding class was a great way to start off spring time in Oxford. “I like thinking outside of the dumpster,” says Amber. So next time you find yourself tossing out an old book or recycling this news- paper, try to make something out of it instead! Get crafty like Amber and her students. Create charm from scraps. Turn litter into something lovely and make waste a wonder!